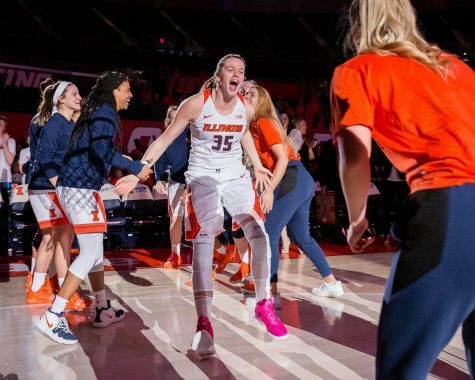 The Illinois women’s basketball team fell at home Monday night to the No. 11 Maryland Terrapins 80-66 in its seventh-straight Big Ten loss. 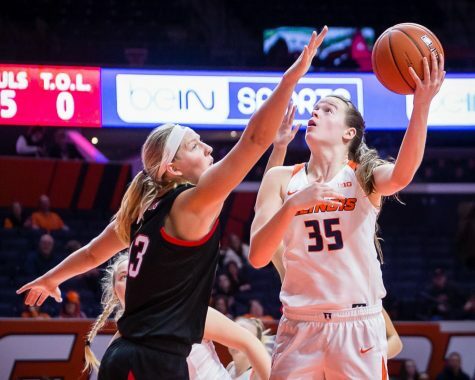 The Illini came into the game looking to reorient themselves after a tough-fought road loss against Ohio State, but the Terps took control of the game early. In the first quarter, Maryland came out in a full court press that challenged the Illini’s ball movement. Guard Brandi Beasley made the Terps pay a few times for their aggressiveness, but the tight defense also forced several early turnovers. Despite the pressure of the Maryland defense, Illinois still managed to shoot 40 percent from the field. Although, the Terps easily took a 26-14 lead at the end of the quarter thanks to a 62.5 percent shooting effort which including 50 percent from long range. Heading into the second, the Terps picked up right where they left off. Terps guard Blair Watson scored a team-high eight points in the quarter as Maryland made a solid. 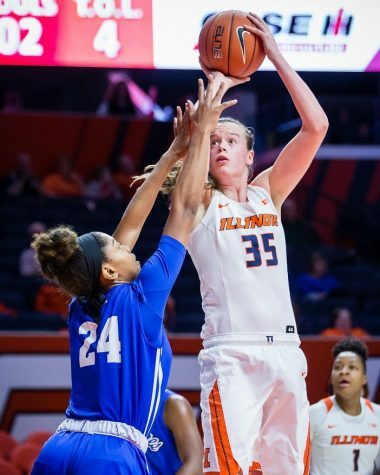 Numerous second-chance points killed the Illini, the team mustered six offensive rebounds and only eight-second chance points, while the Terps scored 15 second-chance points after collecting nine offensive boards. With the Terps up big, as the quarter progressed, momentum started to shift. Maryland began to cool off and shot 41.2 percent from the field in second while the Illini shot 50 percent from the field, including an 80 percent three-point mark. 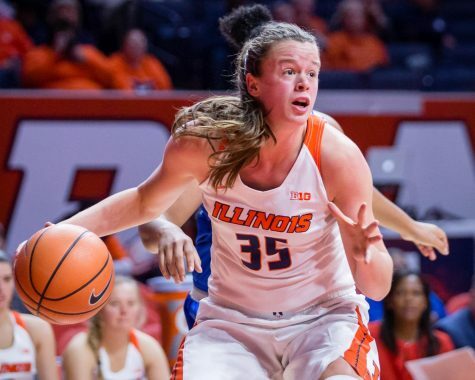 While the Terps had a 20 point lead at one point in the quarter, the Illini went on a run fueled thanks to forward Sarah Shewan and guard Brandi Beasley. Shewan splashed three three-pointers and Beasley knocked down a buzzer-beating three that got the crowd on their feet. The Illini brought the momentum into the locker room trailing 48-37. 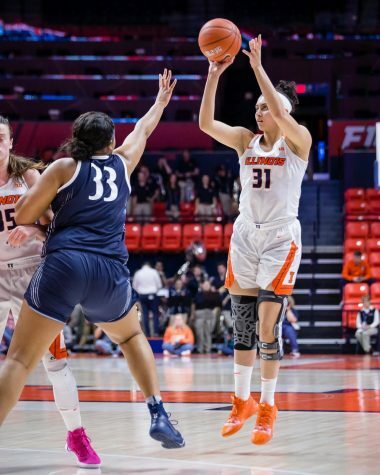 Shewan picked up where she left off in before the half and knocked down her fourth-straight three of the night to help the Illini score a quick five points. “I didn’t take as many shots before the game as I usually do, I took the open shots and the shots I knew I could make in practice… I think I do a lot that you don’t usually see on the court. I’m trying to change the culture here. I know I can do so much more than [shooting]” Shewan said. The Terps shot only 27.8 percent in the third quarter, giving the Illini a shot to close in on the lead. 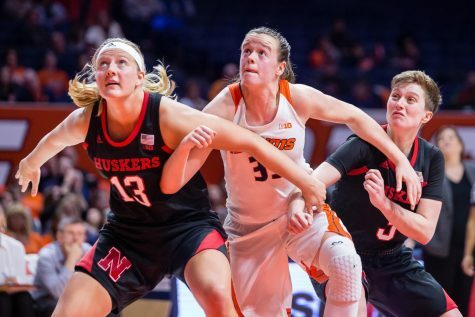 With three seconds left in the quarter, Beasley launched a full court pass to forward Mackenzie Blazek as she drew the and-one call with 1.7 seconds on the clock. 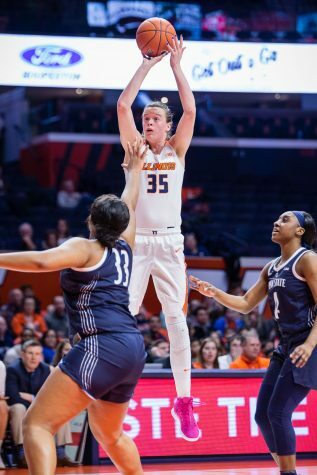 While she missed the ensuing free throw, Illinois was inching closer heading into the final frame down just six points. “I think we were down 24 at one point. I wish we wouldn’t get down in that position and not have to crawl back, but we crawled back. The worst thing would be not doing that.” Fahey said. In the final quarter, the Terps got back on track making their first five shots. An 8-1 run proved strong enough to pull away from the Illini and close out the win at the State Farm Center. “I told the team when you start losing is when you stop getting better. When you start losing is when you stop trying. I know we’ve been beat but we’re not losing. That’s two different things.” Fahey said. 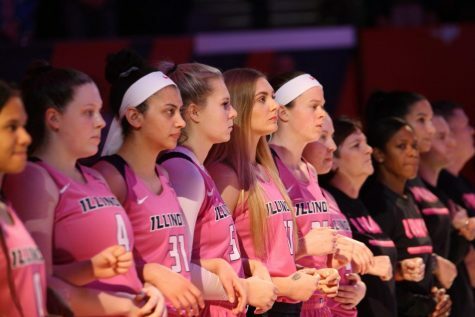 The Illini are now 9-13 and will look to add onto the win column on Thursday as they travel to West Lafayette to take on the Purdue Boilermakers at 6 p.m. CT.